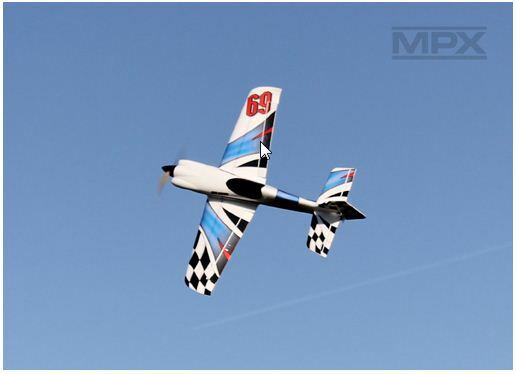 Multiplex is at it again – designing the most fun and daring aerobatic aircraft on the market today! The Razzor is the latest in our line of compact, electric racing planes whose modern looks and demanding agility command the skies. Built with Elapor foam and carbon-reinforced wings and tail, this lightweight aircraft maintains robust, structural strength while zipping through the clouds with incredible precision and maneuverability. Its large fuselage hatch allows handy access for easy maintenance while the removable wing provides compact transportability. Armed with a high performance brushless motor and efficient speed control, the Razzor is the quintessential racing air machine. Previous Video: Mini Titan E325 Flybarless Heli – Just Another Day at the Office? !